Monteverde in Costa Rica, is one of those places that you visit excepting to see beauty, but still have your breath taken away when you get there. The beauty in this area is natural, thanks to conservation efforts that date back to the early settlement years of Monteverde. 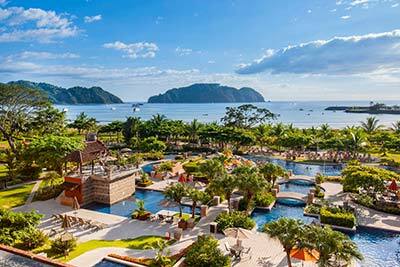 While one of Costa Rica’s most popular destinations for tourists, it is worth braving the crowds to check out all that this area has to offer. 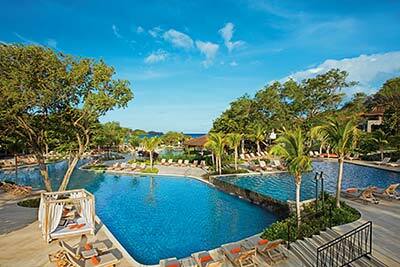 Tourism has been popular in Costa Rica for about 40 years, taking off in the 1980's. 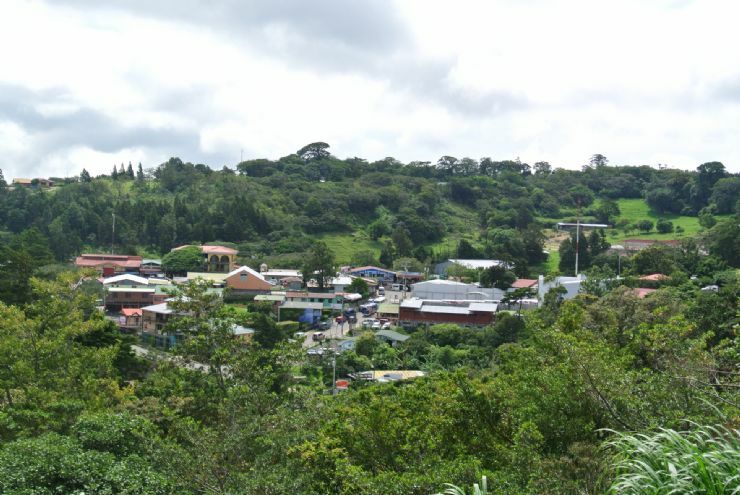 It is no surprise that people began to quickly migrate to the Monteverde area – with natural beauty, diverse flora and fauna, friendly Ticos, and a unique community, it is the perfect recipe for premium tourism. The spirit of Monteverde is as extraordinary as its beauty. There is a feeling of appreciation for Mother Nature, and a sense of collaboration in preserving all that she has to offer. When you live in an area that displays so much life, you can’t help but take it all in. As more and more tourists come to the area, their money is used to continue the conservation efforts of the Monteverde area. 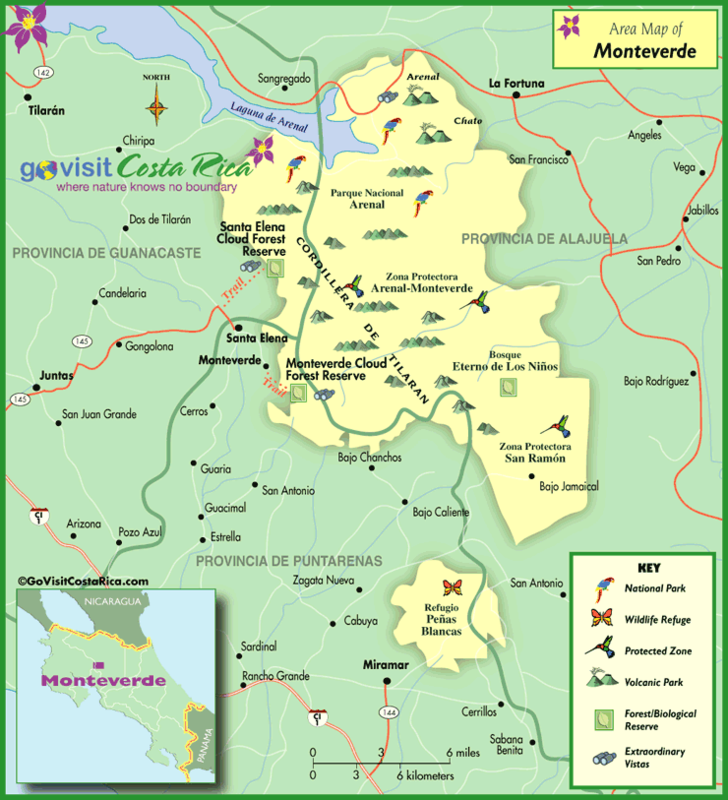 Tourism dollars also help support local businesses, so Monteverde is always welcoming to visitors! 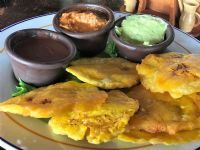 There are plenty of nice hotels and accommodations for guests, as well as some fabulous restaurants that offer authentic local cuisine, including one of my favorite restaurants called Sabor Tico in Santa Elena. The conservation of the Monteverde area is credited to some very dedicated members of the Quaker community. Quakers began to leave the United States for Costa Rica in the 50’s because they had no interest in participating in the war physically or through their taxes. The Quakers are a peaceful community, and sought out a new home base that would allow them to live within their philosophies. 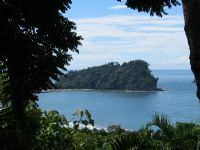 Costa Rica’s Monteverde area was a natural fit as the country shares a peaceful state of mind (they don’t have an army! ), and it provided lush land and viable soil. Soon the new settlement of Quakers were thriving in the dairy industry. As the Quakers helped develop Costa Rica, they also prioritized protecting the lush forests of Costa Rica, as well as the plants and animals that call them home. They first took some of their own land, and set it aside as the country’s first private reserve. They did have to cut down some trees on their property, so make way for their farms, but the reserve was a scared area that they did not touch. The area that they choose to reserve included parts of land that provided them with that water they needed to sustain their farms and their families. They worked hard as a community to maintain the reserve by keeping out those that would try to chop down trees to settle on the land. The Quakers continued their conservations efforts throughout Monteverde, and as a result, there are plenty of things to do in the area that celebrate the natural and unique diversity that is known as Costa Rica’s biggest selling point. Their role in conserving some of the most precious land in Costa Rica had a ripple effect, and the sustained beauty of the country today can be credited to their efforts. Locals and tourists alike are able to live in and visit an area that is not only concerned about its natural resources, but also not afraid to stand up for them. As the Quakers were living happily in their new paradise, the diversity of Costa Rica was also drawing in researchers and biologists that wanted to see the country’s forests first­hand, with their own eyes. These scientists brought with them the idea of conservation, which had not yet been introduced to the people of Costa Rica. A husband and wife, who were working on their theories as graduate students, visited Costa Rica together, and history was made. 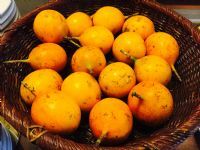 The scientists’ research showed that the natural forests of the Monteverde area were disappearing at an alarming rate, and they knew that this meant that all of the species that call the forest home were in danger. Many of these species hadn’t even been discovered, and yet they were in danger of disappearing from the Earth forever. As scientists, this was very disturbing, and they decided to do something about it. The first step was to secure funding, as conservation isn’t cheap. The scientists solicited fundraising dollars from their networks back in the United States so that they could buy off the owned land in the forest and prevent it from becoming settled and cleared of trees. They worked closely with some people from the Quaker community who were avid hikers and explorers and knew the land and the people well, and were able to purchase blocks of land and start pushing out the reserved area’s boundary lines. Their mission was to collect land for the reserve that would actually be connected, instead of just acquiring random, unconnected chunks of land. This connected wilderness was important because many of the feathered animals that live in the forest travel great distances during their migration, and needed to be able to travel through protected areas the entire time. If their migration path lead them through unprotected areas, it is likely those areas would be settled and developed eventually, and the trees would disappear. It was also important to keep connected lands so that the trails that existed within the reserved land could be preserved. As the scientists and the Quakers worked together to raise funds and purchase property, new partnerships formed. Eventually, the conservation funds and the responsibility of the land were passed off to a group in San Jose. These efforts ended up forming what is known today as the Monteverde Cloud Forest Biological Preserve, which today encompasses an impressive, pristine 17,000 hectares of natural forest. The preserved areas of forest, and the Monteverde Cloud Forest, give locals and visitors a playground for adventure and exploration. There is plenty to do in the area, whether you are looking for a relaxing day or you are ready to get your adrenaline going. If you want to get off the ground – which is another great way that Costa Ricans work on preserving their forests – you can see the Monteverde Cloud Forest from up high on a suspension bridge or from a skywalk. For the ultimate view, you can take a zip line tour and traverse through the forest on cable lines. 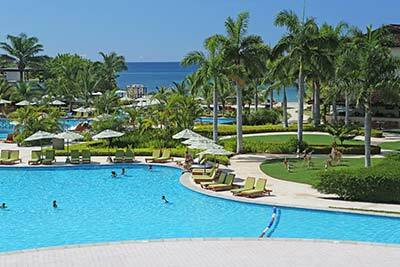 You can also hop into a cart with a group for a canopy tour. 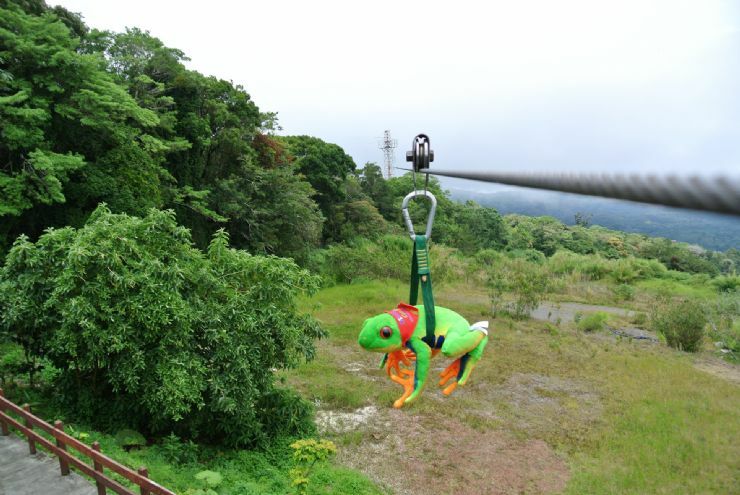 If you want to take in the natural beauty of Costa Rica from above and below, you can sign up to bungee jump. If you don’t mind getting wet, try waterfall rappelling. For those that want to stay on the ground, there are plenty of non­extreme activities too. Something as simple as a hike is still an once­in­a­lifetime experience when you are going through the Monteverde Cloud Forest. If you don’t want to be on your feet, you can try hitting the trails on a mountain bike or on horseback. Many of the hotels in Monteverde will be able to direct you to a tour operator for bike rentals or horseback tours, and some of the hotels may offer their own horseback tours. If you are visiting Monteverde for bird watching, you better bring your best binoculars. You will see birds in this forest that you won’t see anywhere else. You can join a bird watching tour through the cloud forest, and meet other bird enthusiasts, or you can reserve a private tour with a naturalist guide that is tailored to your interests. 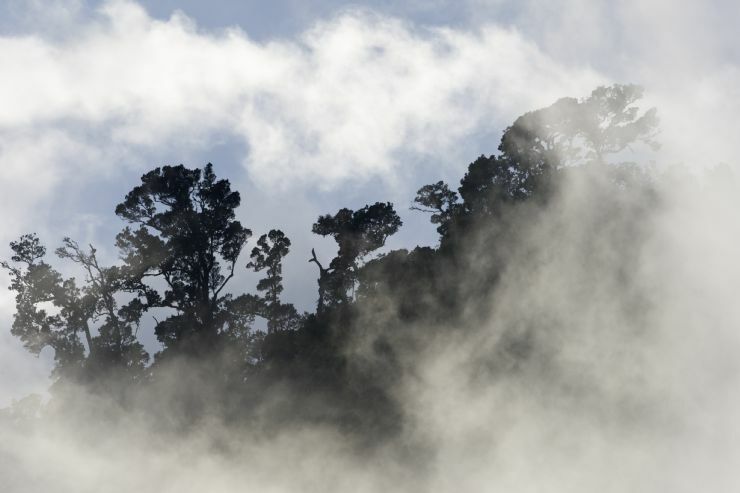 The cloud forest is one of the places that watchers can hope to spot the resplendent quetzal. There are also over 25 species of hummingbirds that live in the area, and it isn’t rare to see toucans and about 400 other species of local birds. There are a lot of insects that live in the forests of Monteverde too! Don’t forget to bring bug repellent for your activities. 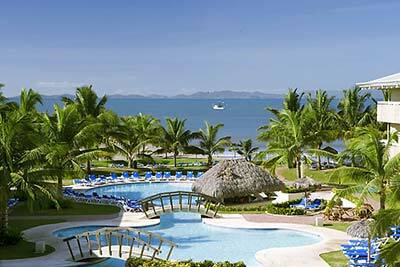 All of these ecotourism activities are a direct result of the efforts from the late 1990's by American scientists and the local Quaker community. Without their interference, these areas that offer some of the most exhilarating views on the planet would have been settled and developed, and the diversity of flora and fauna would have died off. 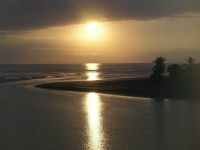 Without the draw of this unique, diverse ecosystem, Costa Rica would also not have as much tourism, and many areas would not be able to count on tourism dollars to help sustain their businesses and communities. While locals and tourists definitely reap the benefits of the conservation efforts, there is no group that needed conservation and protection more than the local animals and plants. Not only did the animals and plants of Monteverde, and Costa Rica as a whole, survive, these days they are thriving. 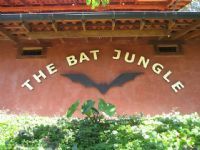 The number of exotic animals that call the Costa Rican forests home is one of the main things that draws in visitors, researchers, and tourists each year. The unique flowers, trees, and plants in Costa Rica help those animals sustain life, and add a level of beauty to the area that is second to none. 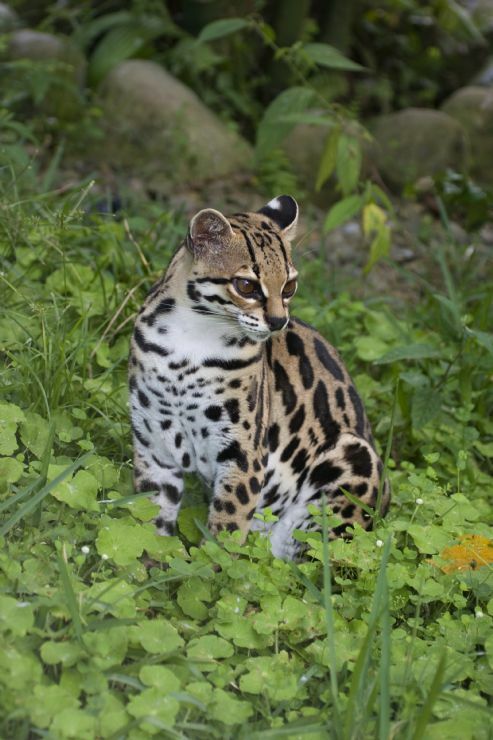 The animals that call the Monteverde Cloud Forest home include birds, mammals, and reptiles. There are hundreds of species in the forest, and hundreds more that haven’t even been discovered yet. Orchids alone have over 300 species in the Costa Rican forest. It isn’t just popular species that exist here either, there are several rare species as well. 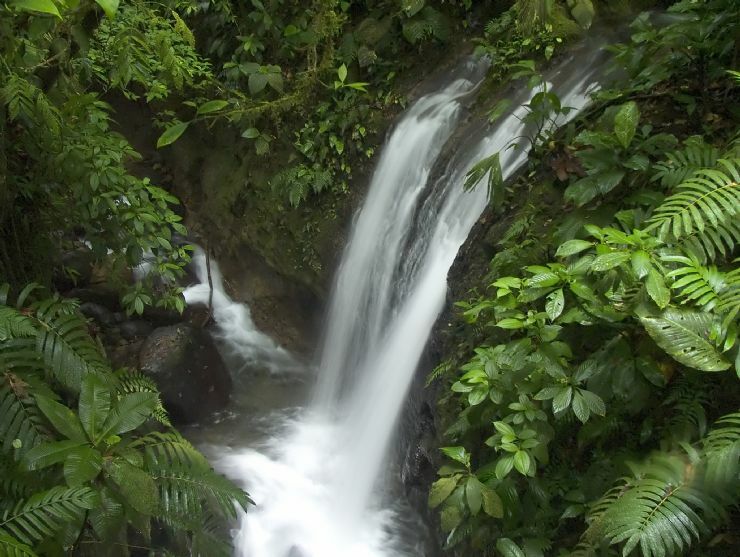 It’s safe to say that a day in the Monteverde Cloud Forest will be like no other day in your life. From the cloud cover that makes the area seem almost mystical, to the many shades of lush green, to the abundant noise of the local creatures – you will never forget the time that you spend in this protected, natural space. While the Quaker community and the local Ticos all work hard at conservation and protection, they are not a people that are all work and no play. In fact, you might even see some dancing in the streets of Santa Elena! The arts are an integral part of the culture of Monteverde. From dance and music to painting and telling stories – it is celebrated in Monteverde. Many of today’s traditions stem from the pioneering days of the area, where communities would gather to perform songs and plays as a form of entertainment. While Costa Rica is known for its saucy salsa dancing, one of the forms of dance that you’ll be surprised to see in Monteverde is square dancing. The Quaker settlers and the local Ticos began to dance this form together, and it became a unique sound and movement as the cultures blended. As square dancing grew as a phenomena in Monteverde, more and more instruments were added to the mix. Soon, you could hear harmonicas, accordions, and guitars playing the beat. As dancing was growing in the area, so was an overall appreciation for arts. From music came more studies for art and theater, and before you know it the community was coming together for productions, with everyone participating somehow – whether acting or making the costumes. Not surprising given the artistic nature of the locals, Monteverde also holds a music festival. This festival has been held annually for over 20 years, and is a great place to see not only local musicians, but also international musicians. The festival was first held in a private residence, but nowadays it is held in an amphitheater. The festival draws many musicians, and many fans, and you can of course find traditional and not so traditional dancing on the stage and in the audience. Throughout the festival, at official grounds and just at businesses throughout Monteverde, you’ll find happy Ticos, Quakers, and tourists performing salsa, reggae, and square dancing.